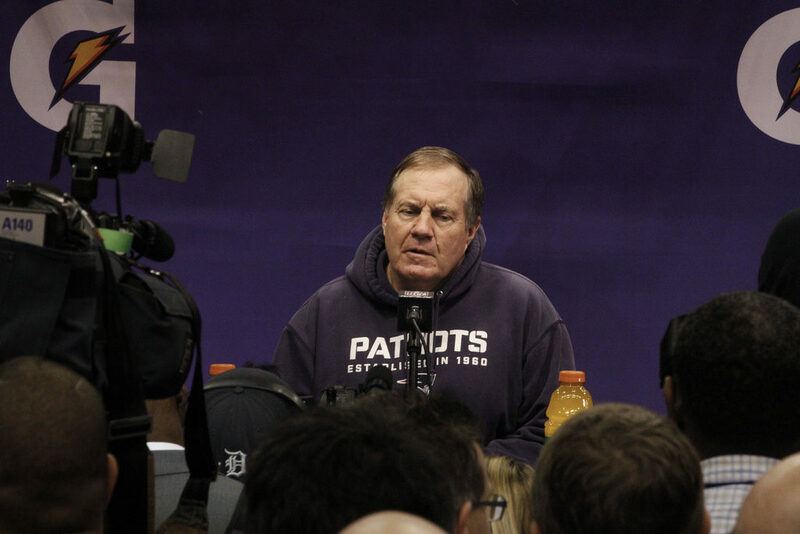 Forget Emperor Palpatine – there’s only one true head of a galactic evil empire and that’s New England Patriots Head Coach, and our Mook of the Month, Bill Belichick. Let’s be honest, Belichick cheats. A lot. Even when he gets caught with incidents such as Spygate and Deflategate and his team gets hit with a loss of a draft pick here or a suspension there, it doesn’t really hurt them. He just gets more players to buy into the culture of ‘cheat, win, get caught and then cheat and win some more’. And then there’s Tom Brady, Belichick evil’s apprentice. Far more brutally efficient than Darth Vader ever was, Brady (under Belichick’s guidance) has surgically torn apart the NFL and together they have won five Super Bowls. Some believe they have a contract in blood with the Devil. But the Devil may have just ended that contract. Everything was set up for Super Bowl number 6. Belichick had guided New England through another improbable but highly predictable comeback in the AFC Championship game and the Pats were up against the perennially cursed Philadelphia Eagles, who had lost their franchise quarterback to a season-ending injury and were starting their very own Napoleon Dynamite star, Nick Foles. But something miraculous happened. The Eagles won. And perhaps even better, a lot of it was Belichick’s fault. Prince of Darkness Tom Brady did his part, throwing for 500 yards, but he was outdueled by Foles, who shredded Belichick’s ‘genius’ defensive scheme. The Pats just couldn’t stop Foles. If only they had a playmaking corner like the Super Bowl hero Malcolm Butler. Oh yeah, they did, but Belichick elected not to play him. For no reason. That didn’t work out too well, Bill. Undeterred by the jarring loss, Belichick went straight back to evil deeds by convincing his offensive coordinator Josh McDaniels to renege on his promise to the Indianapolis Colts by making promises of his own that he also had no intention of keeping. Bill Belichick, you have earned Mook of the Month. Hang it on the wall with all of your other trophies – except you really deserve this one.